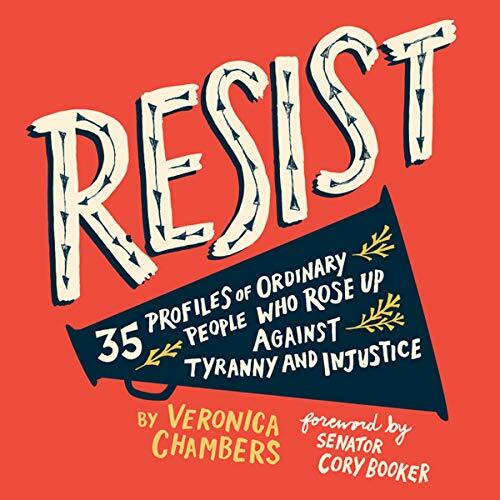 A perfect tool for young readers as they grow into the leaders of tomorrow, Veronica Chambers's inspiring collection of profiles--along with Senator Cory Booker's stirring foreword--will inspire readers of all ages to stand up for what's right. Before they were activists, they were just like you and me. From Frederick Douglass to Malala Yousafzai, Joan of Arc to John Lewis, Susan B. Anthony to Janet Mock--these remarkable figures show us what it means to take a stand and say no to injustice, even when it would be far easier to stay quiet. Resist profiles men and women who resisted tyranny, fought the odds, and stood up to bullies that threatened to harm their communities. Along with their portraits and most memorable quotes, their stories will inspire you to speak out and rise up--every single day. If you have any questions about this product by HarperCollins and Blackstone Audio, contact us by completing and submitting the form below. If you are looking for a specif part number, please include it with your message.